Now that the wings are “built” (there is still a lot of work to do on them) it’s time to build the winglets which get attached to the main wing at the far outboard side. This promises to be an interesting process! The winglets themselves are pretty easy to construct. 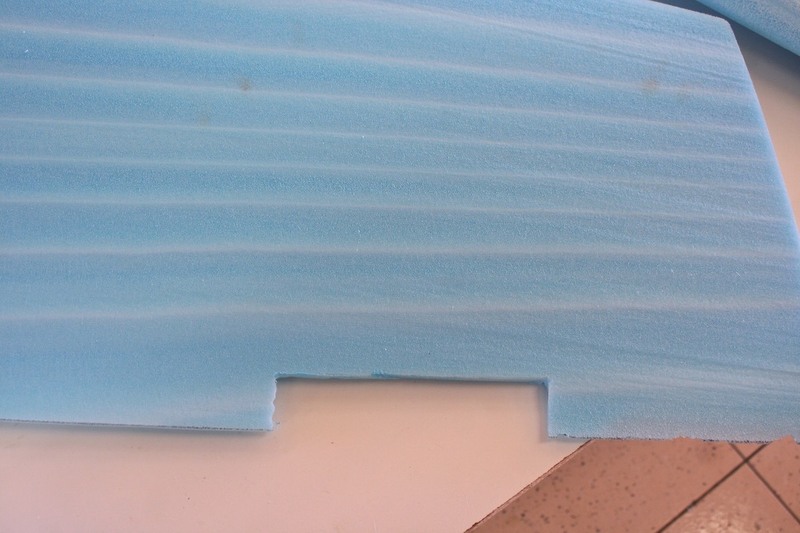 Here are the foam cores just after being removed from the billets. 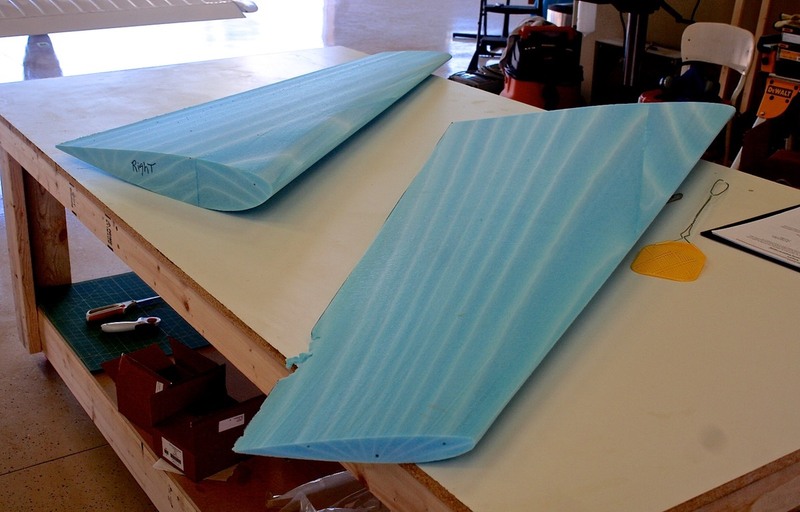 These are the two winglet foam cores that eventually get attached to the wings. We have a little problem with the left winglet core. After it had been trimmed in the factory and replaced in the billet, apparently part of the trailing edge rubbed against something causing this damage. After the winglets were trimmed at the factory, it looks like this one suffered some damage when it was placed back into the billet. More repairs! It’s a fairly easy fix, but naturally having to fix these kinds of problems adds time to the build. In this next photo I’ve removed the bad area in preparation for filling it in with some new foam material. 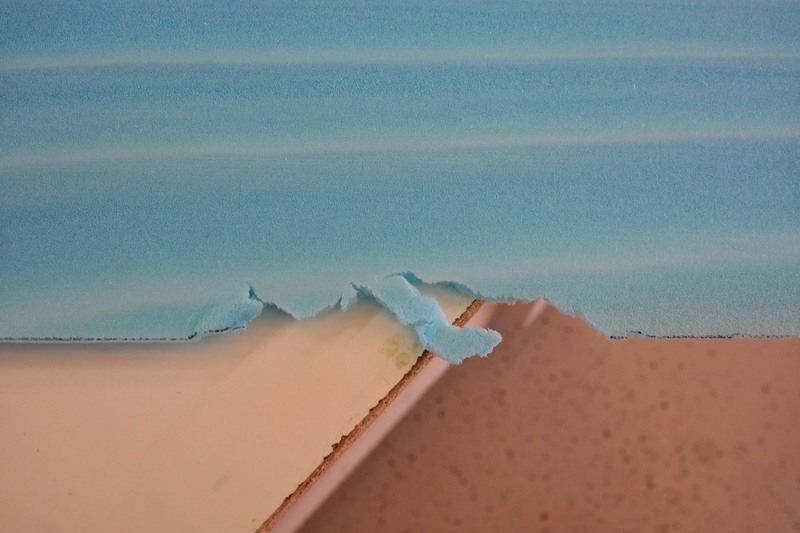 Here I've cut out the damaged area in preparation for inserting a new piece of foam. It gets glued in with epoxy! The winglets also get communications antennas installed. It follows the same basic process as installing the navigation antennas in the wings. 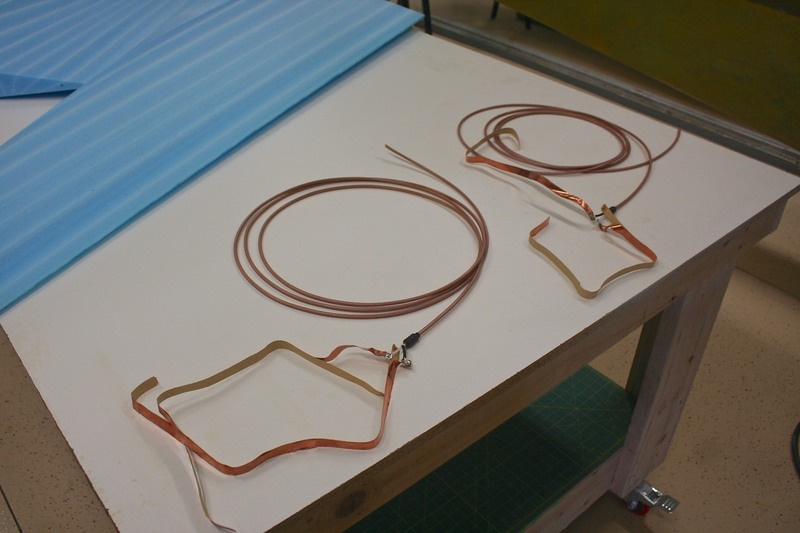 Here are the two comm antennas that need to be attached to the winglets. The antennas are now in place. I still need to cut a channel for the coax cables. They exit out the bottom of the winglets. Finally, the winglets get glassed. 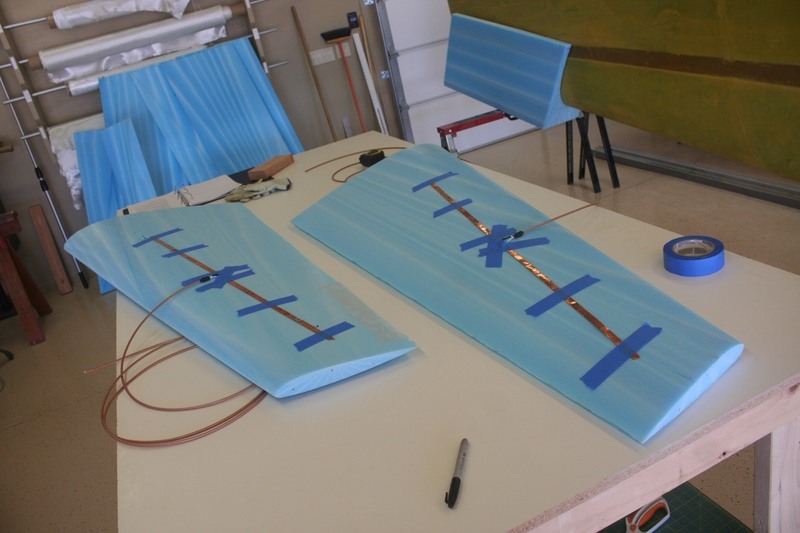 This photo shows the inboard side of the winglets glassed and glued. 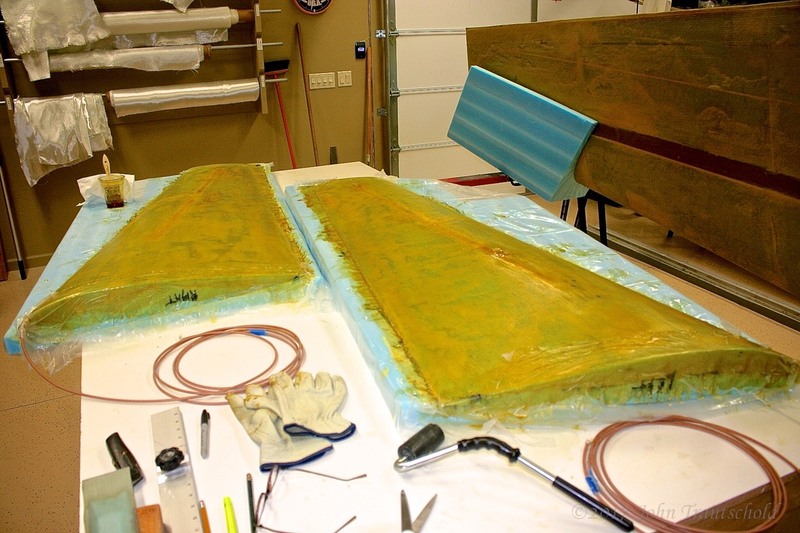 Winglet Construction -Here we have the inboard surface of the winglets fiberglassed, epoxied and curing. Once the outboard surface is glassed, the winglets are trimmed in preparation for being attached to the wings. But first, the winglets need to be trimmed (more on that later) and the wings need to be prepared. See Section 2.4.0 for that process!